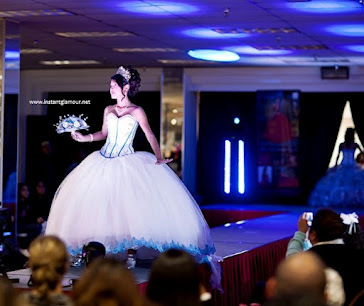 Which of these houston quinceanera dresses is prettier? Better yet, how does one define beauty when it comes to 15 dresses? This is a judgment call. 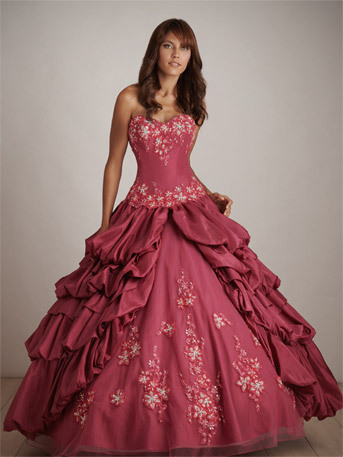 I think a beautiful quinceanera dress complements the girl wearing it. The dress itself shouldn't be the main focus of one's eyes when they look at a girl enter the party hall. I think the perfect dress is one that accentuates the best features of the girl wearing it. Quinceanera dresses that are too busy can distract guests from admiring the true beauty that lies beneath. I prefer quince dresses that lead the eyes up to a youthful, radiant face of a 15-year old girl celebrating her crossing over into womanhood. If you are unsure of what style of dress to buy, I always tell moms and girls to choose a dress that complements the girl rather than one that can swallow her or take the focus and attention away from her. Keep this in mind when shopping!